Those of us who have studied the Fire Bible are excited to share it. You are now able to get one from us at a deep discount. Every penny of profit buys more Bibles, giving them to prisoners who are earning their own Fire Bible by studying it. People like you have provided thousands of prisoners with a state of the art study Bible. They and we thank you! I want to thank you for your obedience to God and your contribution to His children. I completed the Full Life Discipleship Program about 3 years ago and I have been going full speed ahead in my walk with Christ every since. The Bible I received was a blessing it was the source of food which allowed me to grow to the man of maturity I am now. When a friend first arrived here at …..Bible-less, I felt it was my duty to supply him with one, so I gave him mine. In turn he also received Christ as his savior and completed this FLDP and passed his Bible off to another newcomer. So the Bibles are not only a blessing to the ones who earn them but also to guys working on earning theirs. The Discipleship Program has helped me in many ways. It made sure I was on top of my daily reading and praying. It helped me to stay focused and to accomplish something. Most of all the books I read helped me deal with personal issues. I was struggling with like anger, forgiveness and judgment. They taught me motivation and gave me an understanding of how to walk being a Christian. I enjoyed it very much and thank you from the bottom of my heart. 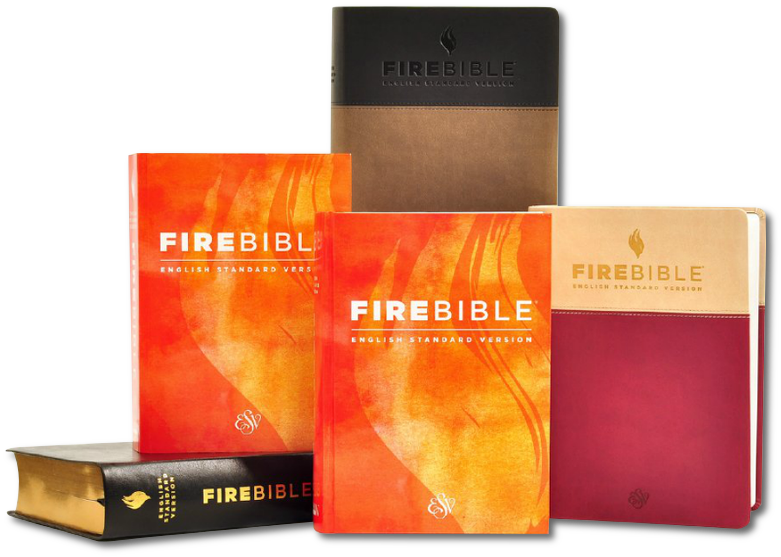 I would like to take this opportunity to thank you for providing the Fire Bible I received when I completed the first phase of the Fire Life Discipleship Program. The Bible is a tangible remainder of the information learned and what is yet to be learned. I’m grateful to Jesus for saving me and to you for providing his word. May God bless you more than you could ever imagine. The program made me realize there is much more to being a Christian than just reading the Bible and going to church. God love, me. He loved me when I was a sinner and didn’t know him. He sent Jesus to die for all mankind so we could have a chance to have eternal life through belief in Jesus. For that I’m eternally grateful.